Awww, lots of splashy fun! You can’t beat a splash about for fun! Okay so now I’m incredibly envious! What a fabulous day to be dragged along in the sea!! That looks like amazing fun! A lot of fun was had. 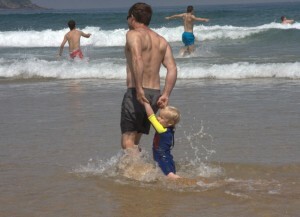 Sun + sea + small child equals a winning combination! That’s a great idea Svetlana. I promise I’ll do it…..but can’t guarantee when! oh I recognise those two! Such great beach weather! 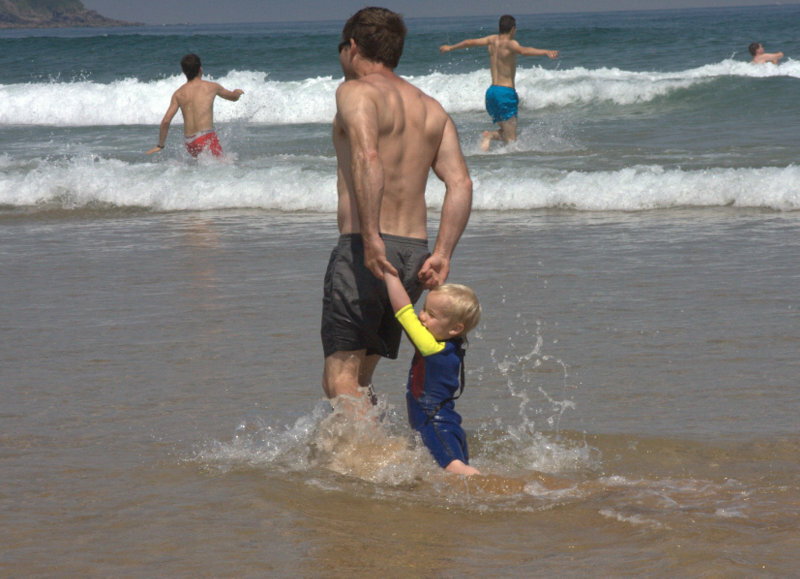 Love the fact he’s hiding behind Dad so he gets the full brunt of the waves! We are loving the beach right now. Just heavenly weather for the summer holidays.